“Vena di San Leonardo”, the ideal Cru for excellent Vermentino wine. The Jankara vineyard is located in the Highlands of Gallura, in the north eastern quadrant of the island of Sardinia. The area is characterized by its imposing and beautiful granite mountains which contribute to its crushed granite soils that are ideal for drainage, as well as, enriched complexity and minerality in its wines. Within the region of Gallura there are several sub-zones; Jankara is located in the heart of the prestigious “Vena di San Leonardo” or “Vein of Saint Leonardo” which is an area that runs from Lake Liscia through to the lands surrounding the country church of San Leonardo. 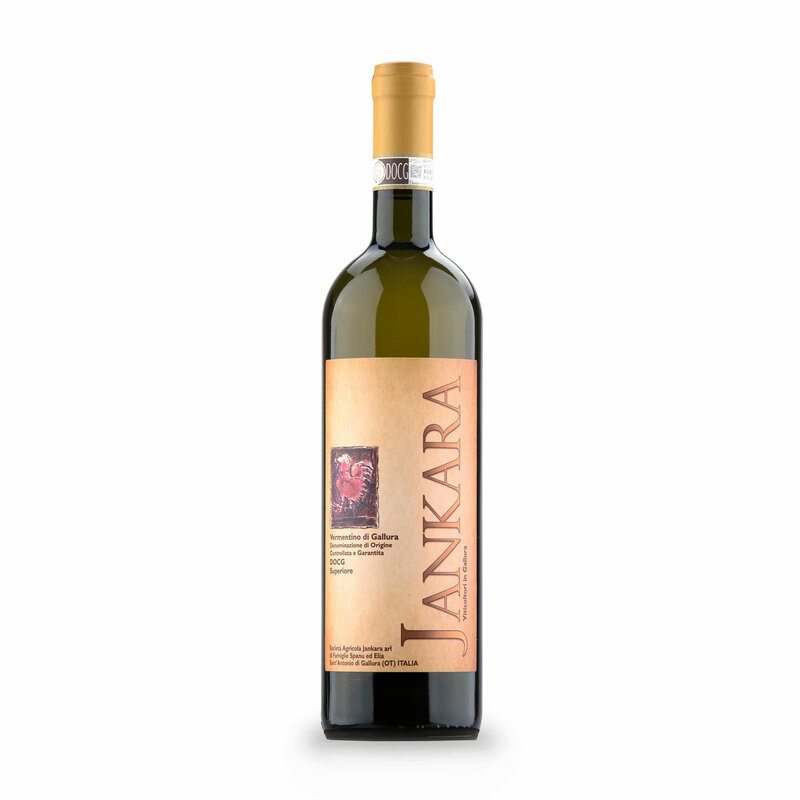 Within the vein of Saint Leonardo, Jankara is located in a particular Cru called “Giannaghe” or in local dialect “Jannaca” which sits in front of another historic cru called “Karana” hence how the name “Jankara” (JANnaca-KARAna) came to be. The area is highly influenced by a superb microclimate that is created by the Lake Liscia and the second highest mountain on the island Limbara of which Jankara sits inbetween at approximately 300 meters above sea level with a North-Eastern exposure. This microclimate allows for hot days and cool nights throughout the most important months of the growing season, pair that with the never ending winds that constantly clean the air, cool the temperatures and maintain the vineyard clear of pests and sicknesses and you have the perfect conditions to grow quality grapes!